SOS Children’s Village Ho Chi Minh (previously known as SOS Chidlren’s Village Go Vap) is situated in a suburb of Ho Chi Minh City. 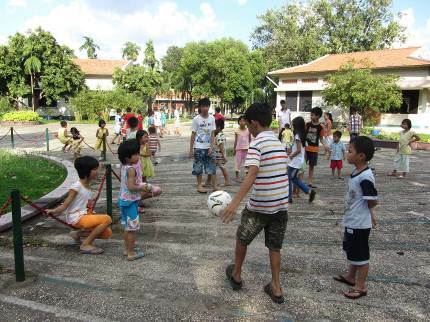 SOS Children's Villages has been working in Ho Chi Minh since 1969. 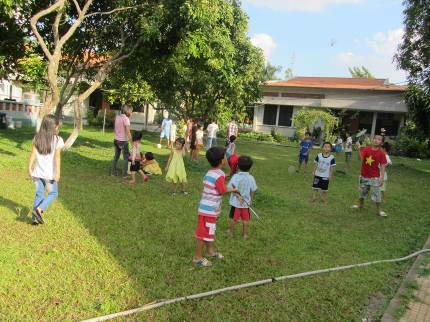 It was one of the first locations in the country where we started to support vulnerable Vietnamese children. With an estimated 7.4 million inhabitants, Ho Chi Minh City is the largest city in Vietnam, and it is also one of the most densely populated. The city plays an important role in the Vietnamese economy. About half of the population is involved in services, which includes working in banking and tourism. Although the city is one of the richest in the country, there is a growing wealth disparity. Life here is very harsh for the many people who continue to live below the poverty line. People who are most likely to be poor include those with low levels of education or few skills, those who are ill or have a disability, families with many children, and those who have recently moved to the city. Families living in poverty often live in precarious locations, such as on the streets, in slums, or on boats. As they build their shelters in unrecognised sites they constantly face the threat of relocation. In the majority of cases they have no electricity and no source of clean drinking water. People living in these conditions often have no official residence rights, and are therefore excluded from governmental services. Migrants who have moved to the city are also socially isolated which makes it harder for them to find work or seek support in times of need. Children are often forced to drop out of school because parents cannot afford the fees, or they need to work and earn some money to contribute to the family income. These children can be seen on the streets scavenging for discarded vegetables and other rubbish to sell on, or selling small goods such as newspapers or lottery tickets. The social and economic conditions in Vietnam's largest city make the work of our organisation particularly important. The provision of family-based care, education, and support into adulthood has continued to improve the lives of people who lack even the most basic means to earn a living or to ensure their children can receive an education. Care for children who cannot live with their families: If children can no longer live with their families, they can find a loving home in one of the SOS families where they grow up with their sisters and brothers. Every child has a "Child Development Plan" which is prepared in consultation with the child and the SOS parent. Education: Young children from the neighbourhood attend the SOS Kindergarten, which can look after up to 190 children. The provision of day-care is particularly valued by those parents who go to work - they know their children are being cared for by professionals. Older children can go to the SOS Hermann Gmeiner School, which caters for over 1,000 children at both primary and secondary level. The teachers at the school work very hard to ensure that children are given the best possible education, and children receive special support in subjects where they are struggling. Support for young people: We give young people professional support while they attend further education or start a vocational training course. The young adults are encouraged to develop perspectives for their future, learn to shoulder responsibilities and increasingly make their own decisions.